Global trade in second-hand clothes is worth approximately USD4.3bn per year. Polish companies play an important role in this sector. The Polish market of a second-hand clothing is estimated at PLN6bn. The success of the global trade in second-hand clothing also has a dark side. The size of the market expressed in monetary terms says little, because before the clothes are put on someone else’s hanger, thrown out of the closet or the drawer, they have a value close to zero. And transforming zero into billions is already a significant achievement. On the basis of rather imprecise estimates, we can reach the information that one ton of second-hand clothing costs USD1,700-1,800 in the global international trade. The weight of the clothes annually entering the secondary international market is no less than 2.5 million tons, and if we were to add the internal trade, it would probably be much, much higher. In even more graphic terms, the trade in second-hand clothing can be expressed in the novel unit of t-shirts per kilogram. One kilogram is slightly more than eight t-shirts, and so the global annual trade in second-hand clothing can be expressed with a number of no less than 20 billion t-shirts. This gives approximately three second-hand t-shirts per capita in the world. The first things that come to mind in connection with the great trade in second-hand clothing is heart-warming charity and a commendable manifestation of the so-called sustainable development. However, contrary to such associations, trade of second-hand clothing is primarily the expression of a huge waste of resources on a global scale. It will probably surprise no one that the global leaders in second-hand clothes trade are the United States and United Kingdom, followed by other developed countries. Annual exports of those goods from the USA amount to approx. USD700m, and exports from the UK reach USD500-600m. Poland, ranked first in the list of recipients of British second-hand clothes, is also an important player in this business. We are followed by Ghana, Pakistan and Ukraine. The Americans focus on different markets. They ship their containers with clothes previously used by the mum, dad, daughter and son primarily to Canada, Chile, Guatemala and India. Of course, clothes used by someone (fortunately unknown to us) do not go only abroad. Indeed, the opposite is the case. A year ago, Business Insider assessed that the American internal market of second-hand clothing is worth USD16bn a year. 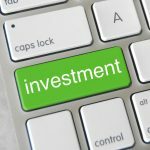 This would mean that the second-hand trade is mostly carried out on the domestic market and that only every twentieth piece of American used clothing goes abroad. In Poland, the situation is probably pretty similar. The business is blooming everywhere you look. Americans have not yet reached such a point in their expansion to open “second-hand clothes” and “second-hand clothes sold by the pound” stores on Fifth Avenue in New York. In Poland it is absolutely possible on the once principal and still important Marszałkowska Street in Warsaw. It is a source of great shame for the authorities of the Polish capital. Shame which is inexplicable and difficult to eradicate, because in Warsaw there are thousands of stores of this type in prime locations. Meanwhile, the city’s budget this year is PLN13.5bn, so we cannot whine that it is poverty which prevents Poles from taking care of important parts of the city. 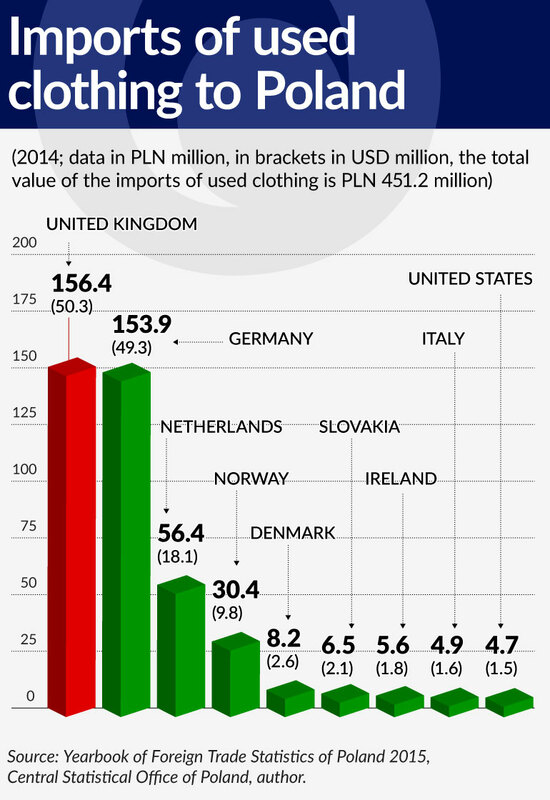 According to the Central Statistical Office of Poland (GUS) (Yearbook of Foreign Trade Statistics of Poland 2015), in 2014 imports of second-hand clothes to Poland had a value of PLN451m (USD145m). GUS also confirms the data from Britain that the main source of supply of second-hand clothes to Poland is the United Kingdom followed by Germany. Two years ago we brought second-hand clothes worth approximately USD50m from each of these countries. Polish second-hand clothes traders know where to buy from, because British clothes have the best opinion in the world, as they are of good quality and in the appropriate sizes, unlike the oversized American clothing. The business is not very transparent and is in some part (rather largely) conducted in the grey economy. That is why we should approach the data of GUS with caution, because it could be misleading. For example, in 2014 exports of second-hand clothes from Poland was supposedly worth PLN52m, or USD166.5m, which would mean that it was greater than the imports. That is hard to believe, because in spite of the huge amount of good will, it would be difficult to see Poland, which is still working its way up, as the original center of supply of second-hand clothes. Therefore, the official data only gives an approximate picture of the imports and the exports of second-hand clothes from Poland. Second-hand clothing certainly plays an important role in the Polish people’s struggle with the ordinariness of everyday life but it would be difficult to defend the thesis that shopping in second-hand stores suppresses retail trade in first-hand clothing. For a certain group of the poorest Poles, second-hand clothing is the basic choice out of necessity. For others (probably more numerous), it is a nice supplementation to their wardrobe on the following basis: this is cool and only costs PLN5, so I don’t mind. In 2014, total retail sales in Poland amounted to PLN705bn. Clothing corresponded to 5.2 per cent of that amount, which means just under PLN37bn in absolute terms. Against that background, the PLN5-6bn of the supposed annual sales of second-hand clothing doesn’t look particularly impressive. If the total annual sales of clothing amounted to PLN42-43bn, then the share of second-hand clothing would be 12-14 per cent. This approximation is probably pretty consistent with assessments based solely on observation and intuition. 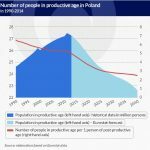 The data also show that despite fierce competition from Asia, Poles mainly wear the products of its domestic “tailors”. In 2014, imports of clothing from fabrics amounted to PLN6.8bn (almost USD2.2bn), and exports amounted to PLN6.73bn (USD2.16bn). The import of knitwear amounted to PLN2.6bn (USD840m), with exports reaching PLN2bn (USD662m). The total balance of the import and export of both of these groups is PLN670m. This is the surplus of imports over exports of clothing and garments, and it is a drop in the bucket compared with the retail sales of clothing. One more thing. Carpenters and furniture makers specializing in wardrobes would have gone bankrupt long ago, or would have switched to making tables and chairs, if it were not for women. In Poland, as in other countries, sales of clothing for women and girls are up to three times higher than in the case of male clothing. Unfortunately, we have no data on the value of the clothing that Poles (male and female) have in their wardrobes. However, we can imagine how much their clothing is worth based on the British estimates. The government agency WRAP (The Waste & Resource Action Program) operating with the support of the European Union believes that the value of clothes per one British household is approx. GBP4,000. Because of the fussiness of some ladies or (less frequently) gentlemen, 30 per cent of the contents of each wardrobe does not leave it throughout the entire year. While I cannot confirm this data, I would be inclined to assess the value of the clothes hanging in the wardrobes of the statistical Polish household at between PLN3,000 and PLN6,000, wherein the amount is likely to be closer to the first figure. The WRAP agency estimates that when it comes to the clearing of wardrobes, more than half of their contents end up in rubbish bins and the rest goes on the secondary market, with a significant part of the clothing saved from destruction or processing into raw materials being sent somewhere abroad. It seems that the situation could be quite similar in Poland. The supply of second-hand clothing is ensured by our propensity for charity, as in popular opinion this activity is mainly conducted by non-profit charity organizations. This is true to some extent. 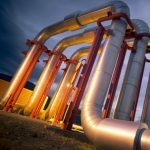 Generally speaking, however, it is a lucrative business, which reminds us of the biblical miracle at Cana of Galilee, except that instead of the transformation of water into wine, it involves the addition of a commercial value measured in the millions and billions to the shabby use value. Old clothes acquire value as a result of the processes of sorting, washing, cleaning, combining into batches and transportation, but mainly as a result of the correct distribution. Dr. Andrew Brooks, a lecturer at King’s College in London and the author of the book “Clothing Poverty: The hidden world of fast fashion and second-hand clothes”, noted in his book that second-hand white shirts from the London City yuppies are most popular in Pakistan, where they are purchased by the local lawyers, warm coats sell like hotcakes in Eastern Europe, and all clothes with short sleeves and short pants are most sought after in Africa. In Kenya and Tanzania, second-hand clothing is called “kafa ulaya”, that is, “clothes of the dead whites”. In Zimbabwe, which recorded the highest inflation in the history of the world (or in fact, didn’t record it, because Zimbabwe ran out of zeros) second-hand clothes stores have a name with a perverse connotation. It is “mupedzanhamo” which means “where all problems end”. The great success of global trade in second-hand clothing has many dark sides. One of them is the collapse of the textile industry in the broad sense in the countries (mostly African) where the population wears clothes from second-hand stores. 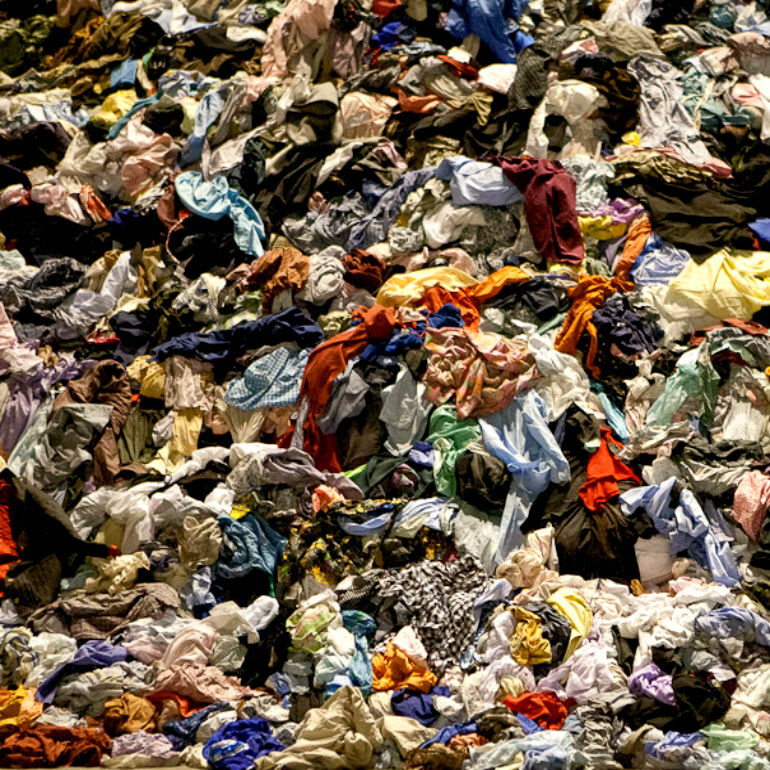 Mattias Wallander, the head of the textile recycling company USAgain, was cited as saying in The Atlantic magazine that Americans currently buy five times more clothing than in the 1980s. We should be afraid to even count how many more times this would be, if compared with even earlier periods. It would be good to remind ourselves of this nice little trait known as moderation. This isn’t about returning to the times when all the clothes of a large family could fit in one large chest, but about coming to our senses. That, however, is not likely to happen any time soon. The search for rationality in the shopping frenzy, which after all has not been limited to America, is beside the point, because there is nothing rational about madness. However, the most unpleasant thing today is the lack of reflection, which has affected almost all of the so-called elites, in their full spectrum from the left to right and back. For example, the uproar regarding climate change is so loud that one risks hearing loss. But I have not heard (maybe because I’ve gone deaf from this cacophony) any activist who would tear their second-hand garments in protest against the morbid overconsumption of clothes in the world. In some circles, fashion can change more frequently than several times a year. According to the currently binding crooked political correctness, the looming ‒ as they claim ‒ climate catastrophe is only the result of the dirty coal mixed with the repugnant oil, because no one wants to go through the trouble of counting the carbon footprint brought, for example, by the millions of tons of unnecessary clothes. When we are lost for words, it is worth looking for solace in history, because it is the source of truth. At the end of each of his speeches in the Senate of Rome, Cato the Elder said: “Ceterum censeo Carthaginem delendam esse”, which means: “Besides, I believe Carthage must be destroyed”. As a censor, which was a very high office, responsible, among others, for tax reviews, Cato promised to “hack to pieces and burn like the Hydra any manifestation of luxury and lust”. As a result, women were prohibited from showing off jewelry and excessively colorful, and especially purple, clothing. The people did not heed Cato’s advice for too long and Rome finally fell. I think that it is worth repeating that while eternity is not prescribed for humanity, we will not be able to find out whether that is true or false, because we will long be doomed by profligacy.